Are you looking for AC air duct cleaners? People always take care of their home facade, driveway and general cleaning of their home. However, having a safe and healthy breathing environment is not a priority due to a lack of understanding of how AC air duct cleaning works. Undoubtedly, the health and safety matters when regarding family. 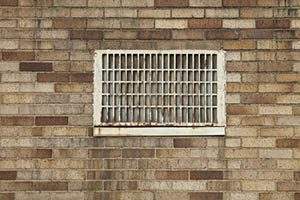 The major benefits of air duct cleaning include the proper maintenance of your homes vent system. Also, this could prevent costly repairs and replacements in the near future and preserve the value of your home. Is important to service the HVAC system regularly because if an AC unit breaks unexpectedly is quite expensive even to buy replacement parts. These type of service is vital to keep your AC unit operating efficiently. Our company, Air Purification Technologies would not only service your vents but also your HVAC unit, checking the cooling coils, fans, drain pans, and heat exchangers. Cleaning the AC unit components helps to prevent the dust, debris, mold, and allergens from getting into your air ducts and releasing an unhealthy breathable environment. For this reason, it is important to clean your air ducts and vents at the same we come to service your unit. 1. Savings. Removing as little as 4/10 of an inch of dust from your cooling system coils will reduce energy usage by 20%. can you imagine removing all the dust from it after our service? This can save you cash on your next electric bill. 2. System durability. Is estimated that 9 out of 10 AC central units and air conditioning systems fail or breakdown due to the lack of maintenance. Replacement parts and labor for Air conditioning units are very expensive, and the total replacement even more. 3. Your home’s air quality will improve. Air duct cleaning is essential to maintaining a healthy breathing environment. Dust, allergens, mold, mildew and rodent droppings are commonly found in air ducts. With our services, we can prevent potential severe illnesses. 4. Allergies. If your family members have allergies, Air Purification Technologies can provide a healthy environment for allergy sufferers and reduce the allergens in a home. 5. Remove odors. The Musty smell will decrease as we remove the dust, mold, and mildew present in the air ducts of your home. No amount of air fresheners or candles will eliminate those odors. 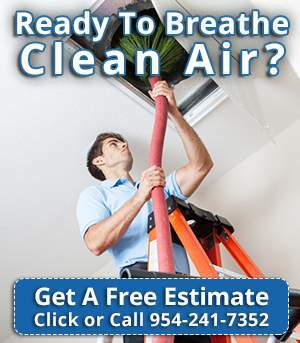 Our AC air duct cleaning will remove the smell almost completely. Don’t hesitate to schedule an appointment with us at 954-241-7352. We will be happy to assist you right away!